Standing in the back yard of No Vacancy in Los Angeles, the bar that’s been carefully and expertly crafted to look like an old hotel, I spend the time between sets examining the detail. Where did they find this lamp? How did they make these props? How much does it cost to manufacture this level of immersion? 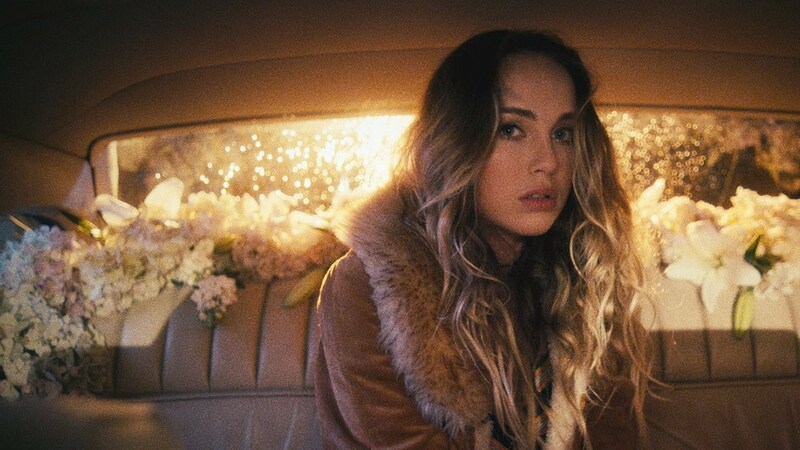 But when Zella Day takes the stage, I begin to forget that it’s all for show. The people around me are my neighbors. The drink in my hand was poured from my fridge. The back porch is where I got the scar on my forehead, from a fall when I was young. As the music blends with the atmosphere, it becomes real. Zella’s style invokes a kind of dreaminess that allows for this type of backyard transformation. It’s not just No Vacancy, it’s the music that transcends. As Zella climbs around the porch in a crop top shirt, part of me wonders when she’ll invoke Almost Famous and yell “I am a golden god” before falling into the pool that surely exists beyond my eye line. It was a special show, as is Zella’s music. Keep an eye on her and check out “East of Eden” below. Zella: Your Friendly Neighborhood Breakout.